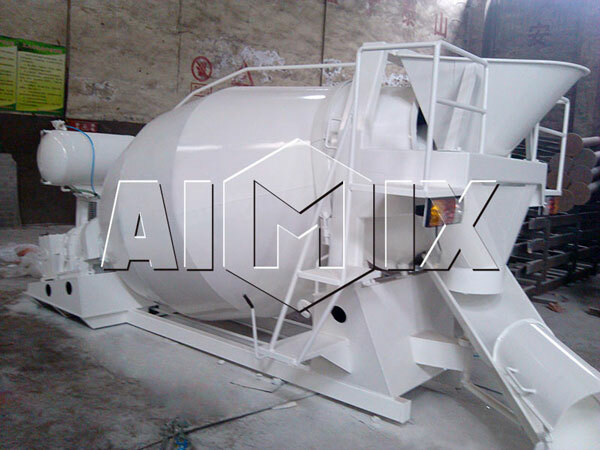 Concrete mixer drum is one of a crucial parts of concrete mixer truck for sale, and we Aimix Group co,. 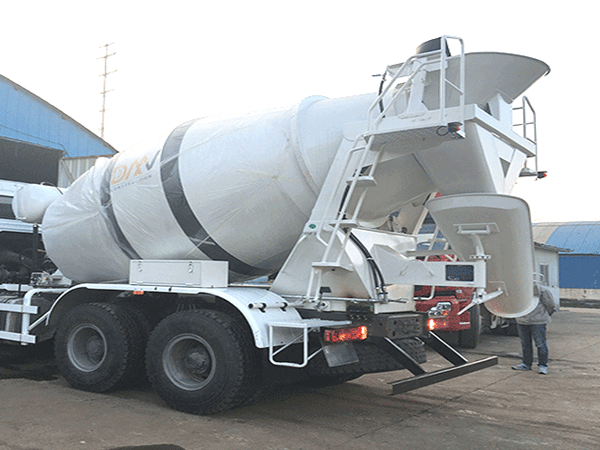 ltd, not only can supply concrete mixer truck for sale, but also single concrete mixer drum order we can either accept, if customers have possessed a second chassis in advance. 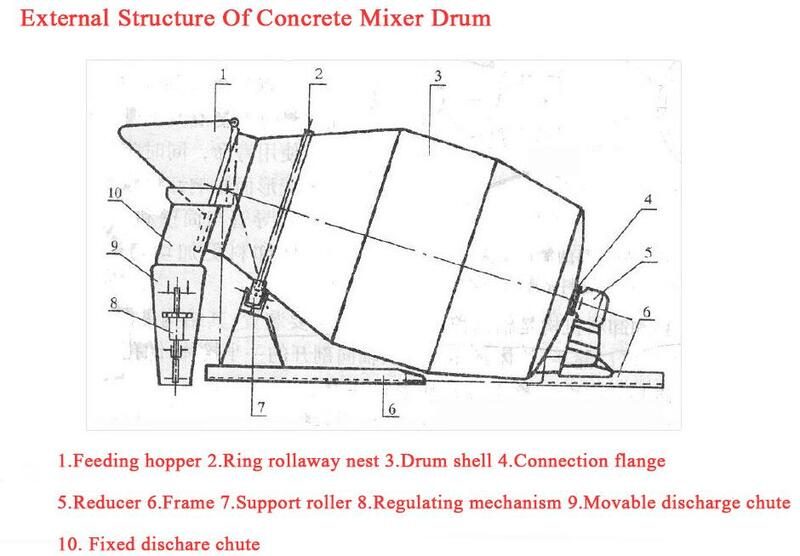 As we can see, concrete mixer drum for sale is a cylinder keeping rotating movement on the top of concrete mixer truck for sale. 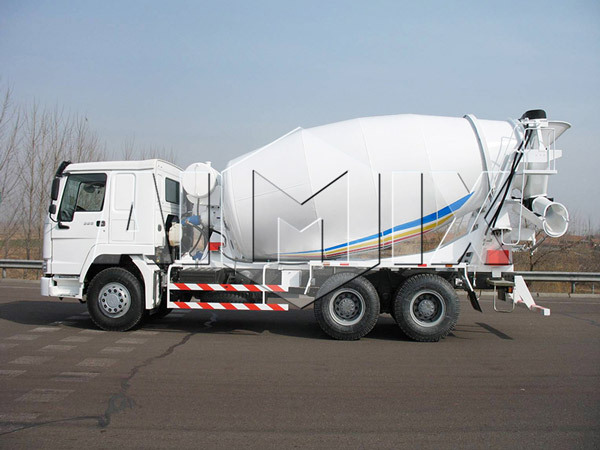 Mixer drums for sale are one of important parts of the upper device of cement truck for sale. There are many spiral blades in the inner place of concrete mixer drum, which have function of guiding concrete to move into the middle bottom of concrete drum while in the feeding process and while discharging concrete, spiral blades will make action of pushing concrete in the concrete mixer drums for trucks out to unloading outlet. 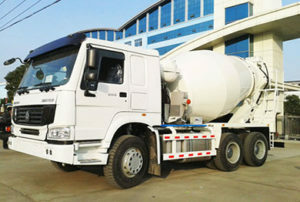 As we all know, concrete mixing truck is a commonly used special truck that not only transports material of concrete, but is in charge of stirring concrete in the process of delivery. 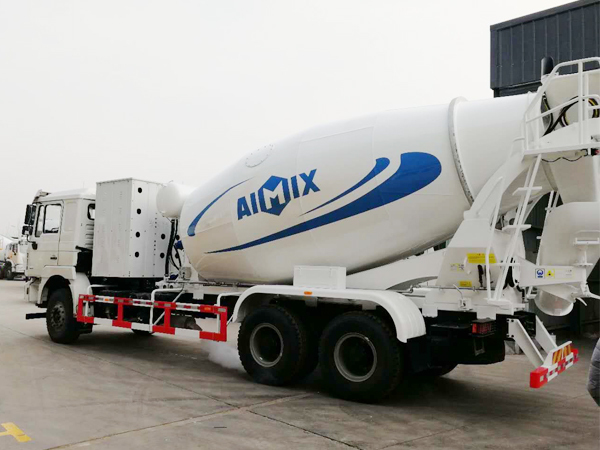 A few of the key components of your concrete mixer truck for sale include concrete mixer tank, hydraulic pump, hydraulic motor, reducer, water supply cleaning system, feeding and discharging system in addition to various other parts. The hydraulic pump mainly offers the required energy to the mixer tank for sale. It is very important to make sure the hydraulic pump is of top quality and is made by a reputed manufacturer. There are actually all kinds of hydraulic pump manufacturers but just a few are recognized for high praise quality. Another important component is the hydraulic motor. There are simply a few brands which can be renowned for consistent quality motors. Together with brand of the motor, you also need to pay attention to the output volume. The high quality and efficiency of the water supply cleaning system affects the general efficiency of your mixing truck. 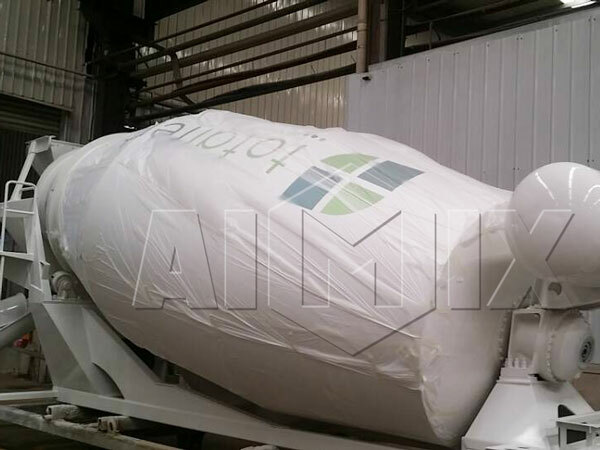 The main purpose of this cleaning system is to avoid adhesion of concrete in the inner wall of mixer tank. It works together with a water pump with a pneumatic based system. Several of the other components for example the feeding system, discharging system, control joystick and other parts also play crucial roles in the overall efficiency of the concrete mixer truck. 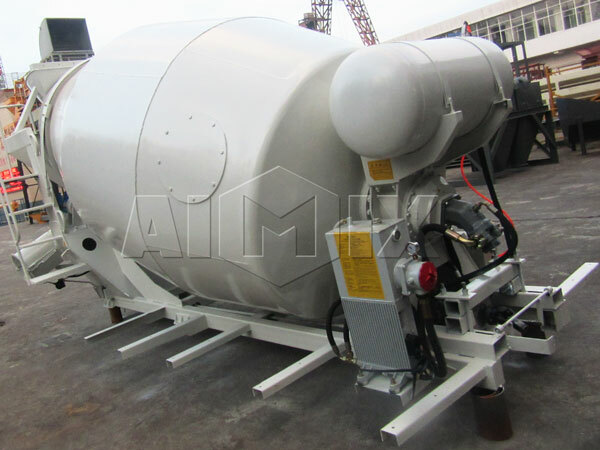 As to concrete mixer drum, also called mixing tank or mixing cylinder, it is a cylinder installed on the chassis and keep constant rotating during the transportation. 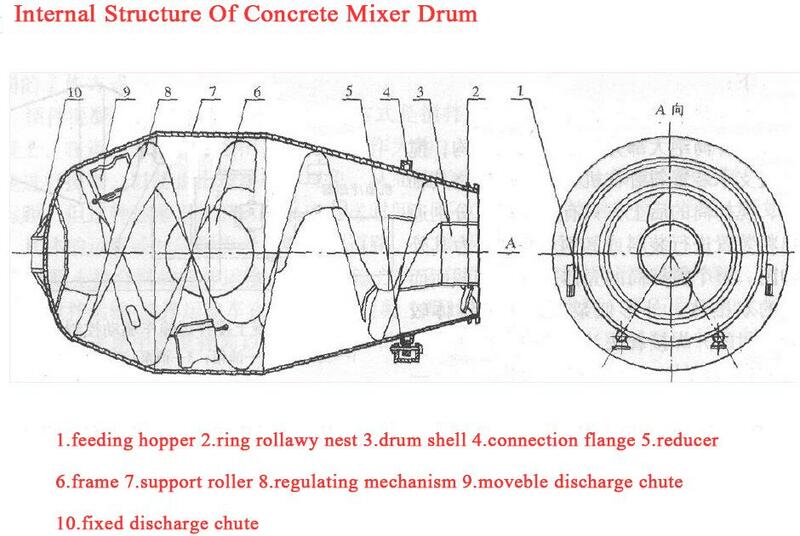 External structure of cement mixer drum for sale. 1.Feeding hopper 2. Ring rollaway nest 3. Drum shell 4.Connection flange 5. Reducer 6. Frame 7. Support roller 8.Regulating mechanism 9. Movable discharge chute 10. Fixed discharge chute. 1. Clamp sleeve 2. Auxiliary blade 3. Feeding tube 4. Rollaway nest 5. Riding wheel 6. Manhole 7. Cylinder shell 8. Blade 9. Auxiliary mixing blade.10. 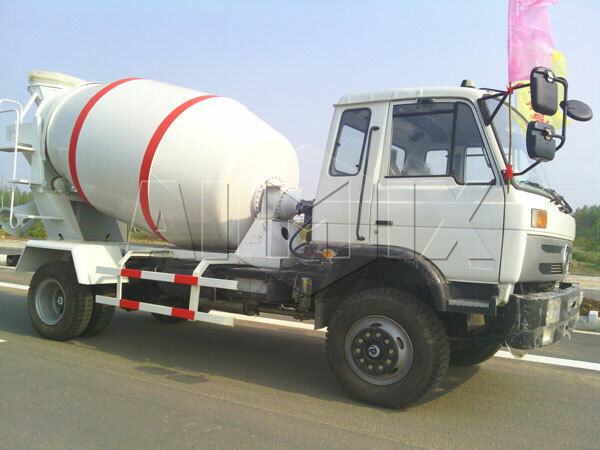 Connection flangeAgitation tank is the main part of concrete mixing truck for sale which is related to the price of concrete mixer truck, functions and the operation of the owner’s benefit in many aspects. 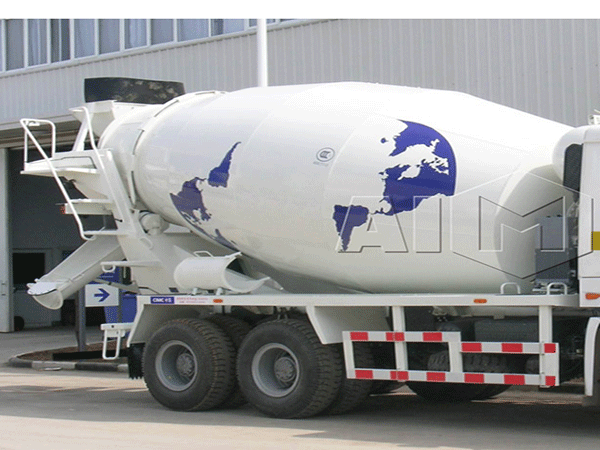 The shell body of the concrete drum plays a vital role in the overall efficiency to lifespan of the concrete mixer truck. The concrete mixer tank rotates and helps to ensure that concrete moves across the blades within the tank to make even mixing. The concrete mixer drum must be made of high quality material to guarantee efficient mixing of concrete and longevity span. 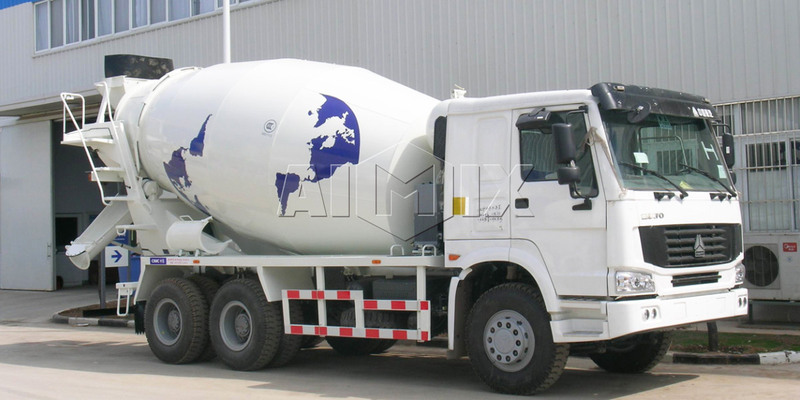 Concrete mixer truck is known as the truck to delivery concrete. It is used to transit the ready mix concrete from the batching plant to the exact location where concrete is to be poured . A. To avoid segregation of concrete: Separation of sand and aggregate from the cement and water. B. During transportation, the concrete should not be spilled out from the concrete drum. The drum rotates clockwise during transportation . The internal spiral blades push the concrete towards the inner zone of the drum . When reaching the location of pouring , the drum rotation is reversed , thus forcing the concrete to slowly get poured outside. 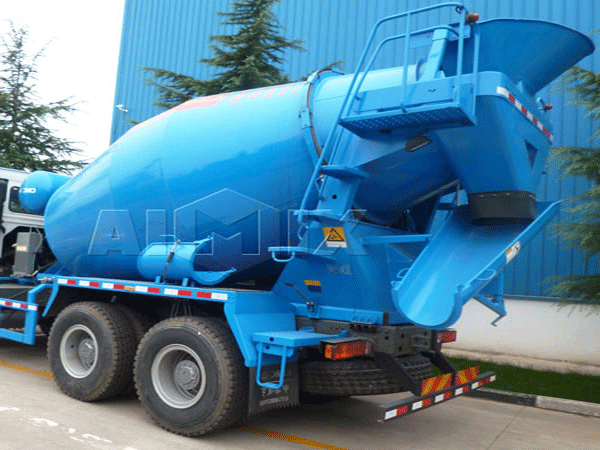 Cement mixer drum sizes are important factors which cannot be ignored, and choose what kind of volume is better? The actual geometric volume in the mixing tank is the geometric volume calculated by the mathematical method when the tank is designed. The amount of premixed concrete that the mixer can transport (after tamping the volume). 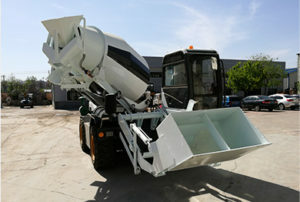 It can be seen that the concrete capacity of the concrete cube that can be discharged by the mixer truck. 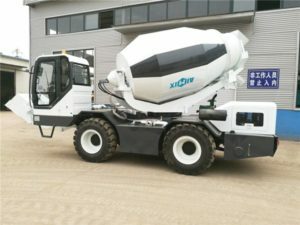 Mixers for the horizontal position, the mixing barrel can accommodate the largest level without mixing of concrete materials (including water), and can stir the quantity of shipment to concrete (in the volume of tamping later). 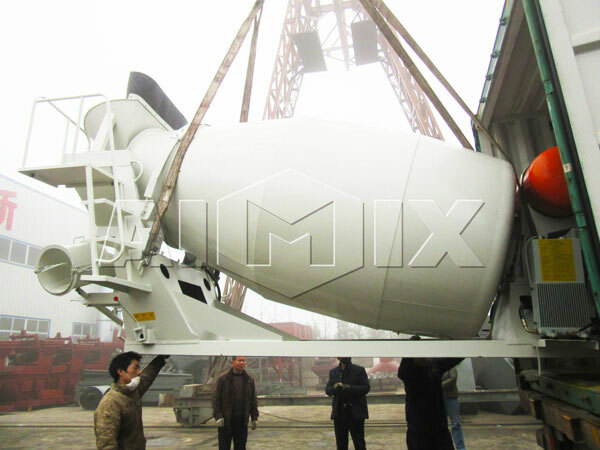 It is the maximum capacity of mixers to load concrete mixtures (including water, cement, sand, etc.) without causing leakage. 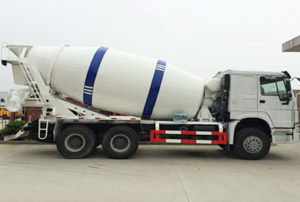 The relationships between the three mixers volume is: geometric volume > stirring volume >Mixing volume, concrete mixer drum manufacturers often say volume that should be refers to stirring volume, so attention should be paid to distinguish mixing volume of the vehicle, in case of merchants to steal concept in small charge of big. 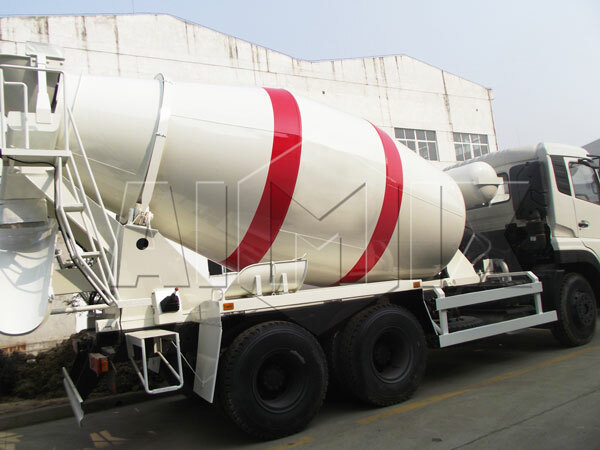 Concrete mixer drums for sale we should pay attention to the capacities and we can offer capacities of cement mixer drum for sale : 3 m³, 4 m³, 6 m³, 8 m³, 9 m³, 10 m³, 12 m³ and 14 m³etc. Note: referred to stirring volume of mixer drums for sale. If you need special capacity, that’s okay. We can accept customization. If you want to know more specific information, you can contact us. 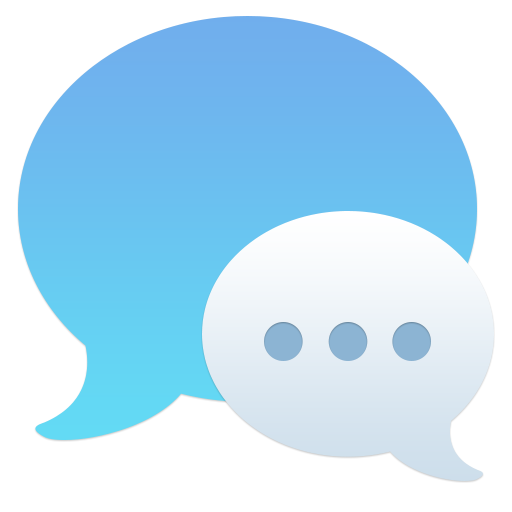 Any question you want to ask, we can answer one by one for you.